Geneva: Global merchandise trade growth is expected to slow to 2.6% in volume terms in 2019 from 3% in 2018, as the US-China trade war continued to generate uncertainty in the world economy, figures released by the World Trade Organization (WTO) Tuesday showed. The renewed momentum of 4.6% growth in international trade witnessed during 2017 has evaporated because of rising restrictive trade measures of more than $480 billion in which the US and China accounted for around $350 billion, WTO director general Roberto Azevedo said at a press conference. Amid a technological revolution, accompanied by rising unemployment across the world, countries are increasingly experiencing an investment drought and consequently, weak trade performance. Nevertheless, WTO expects trade growth to increase to 3% in volume terms in 2020 if trade tensions subside in the coming months following the ongoing US-China trade talks. Also, weak trade growth in Europe and Asia continued to create sluggish conditions in the global trading environment. India performed poorly in its exports and imports of goods last year. India posted one of the highest trade deficits of $185 billion last year, in comparison to China’s trade surplus of $127 billion and a US trade deficit of $272 billion. In commercial services, India fared relatively better by recording a surplus of $31 billion. Global commercial services grew by 8% last year. The ratio between trade growth and GDP growth is expected to remain at 1:1 in 2019, Azevedo said. “The historical high of 2:1 between global trade growth and the GDP growth before the 2008 financial crisis is difficult to reach,” he added. Without naming the US that has launched the trade war with China and other countries by imposing unilateral tariffs, Azevedo said “with trade tensions running high, no one should be surprised by this outlook”. Later, in response to a query, he acknowledged that the US-China trade war are the main source of rising global trade restrictive measures of more than $350 billion last year. He suggested that if the Trump administration imposes additional tariffs on automobile products from Europe, there would be increased uncertainty. 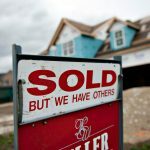 Trade, he said, “cannot play its full role in driving growth when we see such high levels of uncertainty. It is increasingly urgent that we resolve tensions and focus on charting a positive path forward for global trade which responds to the real challenges in today’s economy, such as the technological revolution and the imperative of creating jobs and boosting development,” he said. 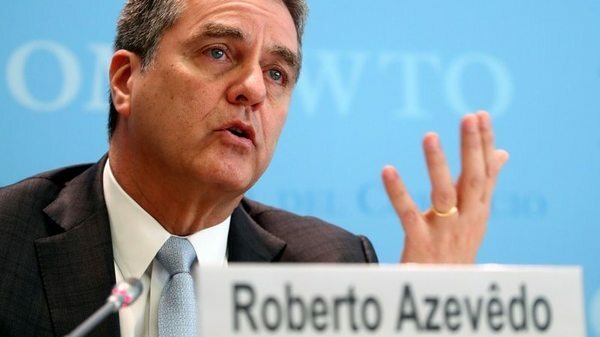 Azevedo maintained that the “blockage of appellate body appointments” in WTO’s dispute settlement system will have a “damaging effect” and needs to be resolved without delay. Several countries, including India, have called for resolving the “systemic crisis” at the appellate body before embarking on any reforms at the WTO.